As the summer fades into the distance, there’s still plenty of time to catch-up on all the latest whisky news. The market for rare whisky has surged in the first six months of 2017, according to Rare Whisky 101 (BQ Magazine). Scotch Whisky is one of the first applicants for New Zealand’s ‘authentic products’ register (Insider). Ardnamurchan’s spirit has officially become whisky after its passed its third birthday (The Spirits Business). And the only whisky distillery in North Wales is set to begin producing its own whisky (BQ Magazine). Willian Grants plan to boost capacity at its Girvan plant by more than a quarter (Daily Record). 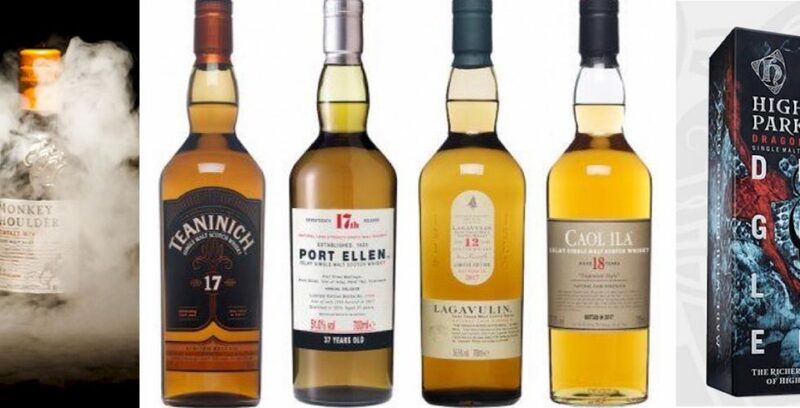 And the owner of the John Crabbie’s whisky brands looks set to return to Edinburgh after plans for a micro-distillery were unveiled (Scotch Whisky).Royal Mile Whiskies is set to launch a new auction website, with a focus on ethical auctioneering (Scotch Whisky). Aldi’s Glen Marnoch Speyside Single Malt Scotch Whisky, which is priced at just £17.49, has been awarded a gold medal at the Spirits Business Scotch Whisky Masters (Independent). And scientists have revealed why whisky tastes better with water (The Guardian). And if you bought a bottle of The Balvenie Tune 1509 Batch 4, then you might want to consider returning it, after the wrong whisky was mistakenly filled into some bottles (Scotch Whisky).